More news for you to read about events, projects and activities in the Federation. This new venture was launched at Congress by Michael Clark and David Aimer. It has been devised by the Board of Management and the accompanying leaflet shows the details of the competition and it is hoped that many young people will be attracted to take part. The Christian Prophetic Witness fund has been part of BIWF accounts for a long time and came from the work of George Thompson. The Essay competition will be widely advertised on the web sites, in The Covenant Nations and other BI organisations will be asked to circulate it to their members. We hope you will enjoy reading this article which appeared in the newspaper on Tuesday, 3 November. Show it to all your friends! Last November it was announced in ‘Life in the BIWF’ that Michael Clark and Martin Lightfoot had been filmed for a production on the Stone of Jacob which would be shown on the History and Discovery channels early in 2015. As it turned out, broadcasting did not occur until October 2015 and unfortunately only very short clips of Michael Clark were included. However the Federation obtained a DVD of the film and it was shown at Congress provoking much discussion afterwards. There is a very good display in the Abbey about the ‘Scottish Declaration of Arbroath’ and ‘The Stone of Destiny.’ A group from the Scottish Area including several young people went on the guided tour at the end of June to hear about these things and the preaching of the Gospel by the apostle Andrew. The first overseas tour took place as planned in early September. A small group led by Martin Lightfoot went to look at the sites where early missionaries arrived with the Gospel from Wales and Britain; St Malo himself and six others are well known by the Bretons. It was very interesting not only to see this historical record but also to discover that the House of Stuart originated from Dol-de-Bretagne showing how close the relationship is between our two nations. The group also went to see one of the largest standing stones in the world which is in Dol. Over 20 people went to the Science Museum on the last Saturday in October for a return tour led by David Aimer. Beginning with a reminder of scripture in which the promise is given to Abraham of blessing the nations, he took the group to the large central display on the ground floor where the signs announce that Britain was ‘A power house for the world’ and that ‘No-one knows why the Industrial Revolution took off when it did, with Britain in the lead.’ From there the displays go through the subsequent development of all the technology which we now take for granted. Many more hours could be spent there marvelling at all that has been brought to the world by the Israel nations. 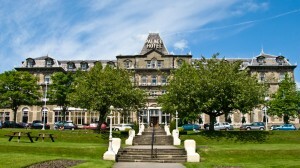 The second Convention at the Palace Hotel in Buxton was much enjoyed by everyone. Three visiting speakers from around the BI world came and spoke to the theme of ‘The Continuing Kingdom, the Birthright and Magna Carta.’ It was a return visit for Charles Jennings of USA and a first one for Chris Chetland of Australia. Andrew Adams of New Zealand was a late and welcome addition to the programme. As usual, all the lectures are available on DVDs. The weather in Cumbria was not so kind to Congress as on some other years but this popular venue once again provided a very comfortable setting for the 96th Annual Congress. The theme ‘Days of National Deliverance’ was taken up by the speakers and the urgency of the need for prayer came through very strongly. DVDs of the lectures are available. The third Ulster Rally of this year will be held on Saturday, 21st November at the usual hotel. The speakers will be Michael Clark and Clifford Smyth. These rallies are becoming very popular and the bookstall set up each time by David Aimer is always very well supported. The Newsletter is in production now to be ready to send to all members in January. There will be full reports and photographs of these events in it. This year the theme of the magazine has been ‘Victory’ in different aspects. The final issue will be delivered in December and closes the series with the Victory of our Lord and Saviour Jesus Christ, King of kings. Please remember the work of the Editorial Team in your prayers. Browse our latest online articles or click here to browse our archives.